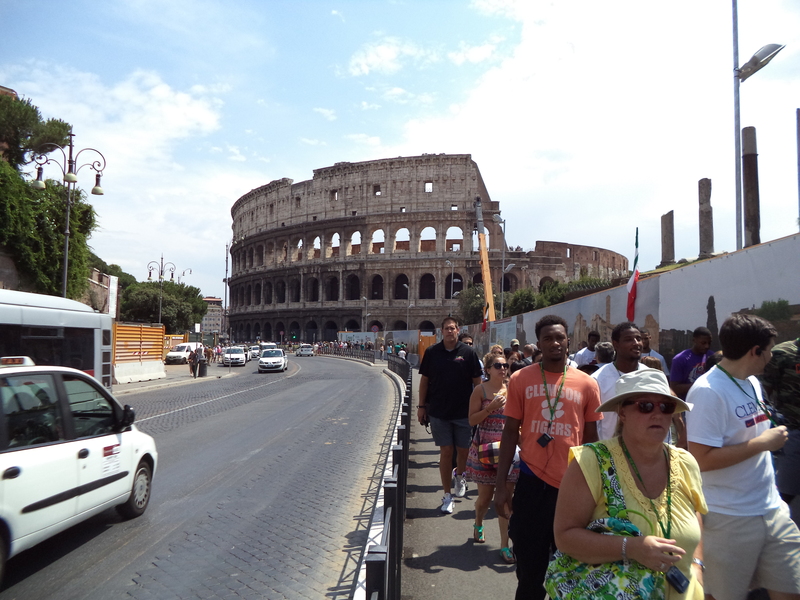 I am in Italy at the moment with the Clemson men’s basketball team. As part of their trip, many of the players have been taking a course for academic credit – essentially, a revised (i.e. : site-specific) version of my undergraduate heritage tourism class that I deliver each year at Clemson University. We met three times back in South Carolina, covered some of the basics of heritage tourism, heritage site management, and UNESCO World Heritage sites. On site, the student athletes will be completing some assignments for the course – in addition to playing four games over a ten day period across the country. By Gregory Ramshaw in Uncategorized on August 9, 2013 .